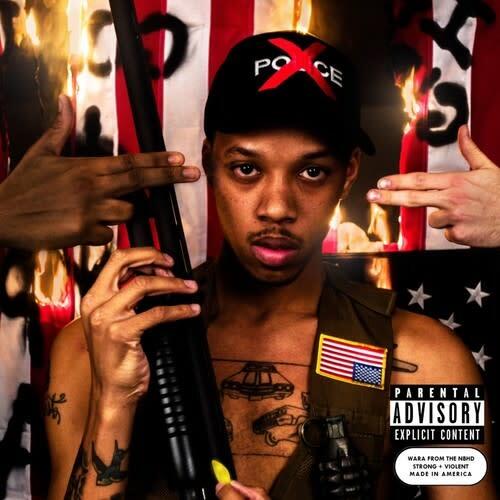 After introducing the world to his relatable and creative music on 2014&apos;s Kidnapped, Atlanta rapper/producer Wara From The NBHD has released his 7-track EP titled If Guns Could Speak. The self produced project tackles a plethora of current issues. On standout track "P.N.S." he raps about the growing danger of police brutality in light of Michael Brown and Eric Garner&apos;s deaths, and on "Don&apos;t Call 911" he reiterates the distrust between the inner city and the people who are enlisted to protect them. Wara displays a versatile and outspoken side that is rare for many artists, which cements him as a young rapper to watch in 2015. Stream If Guns Could Speak below.